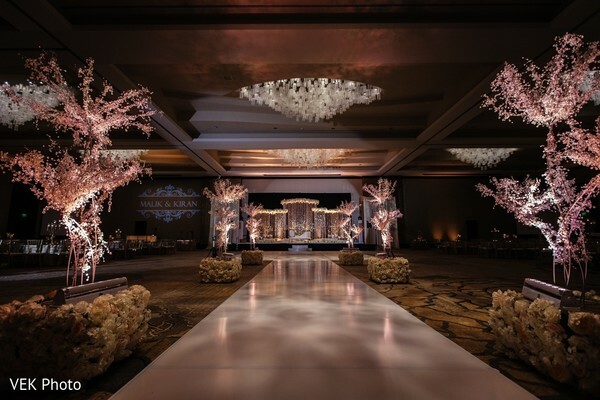 After the marriage solemnity, the guests went on to party for the reception at the exclusive Hilton Granite Park. 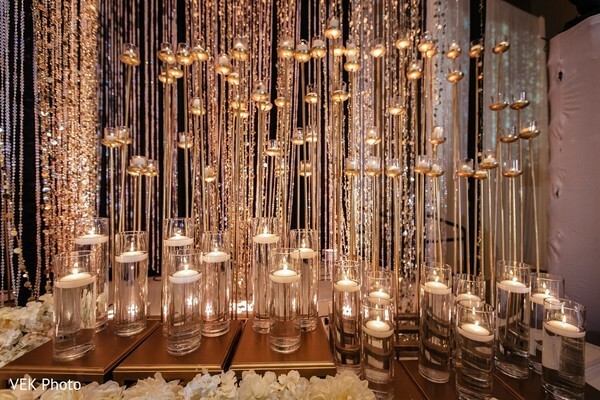 Here, an ecstatic decor arranged by Wedding Decor By Faiza made the scenery an incredible sight! 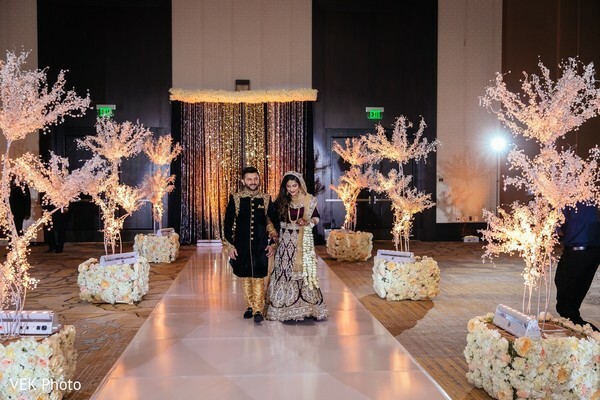 A spectacular cherry blossom lined the hall’s aisle created a memorable entry and a magnificent stage with cascading lights and a mind-blowing white bed of flowers around the top created a magical ambiance to celebrate the love! 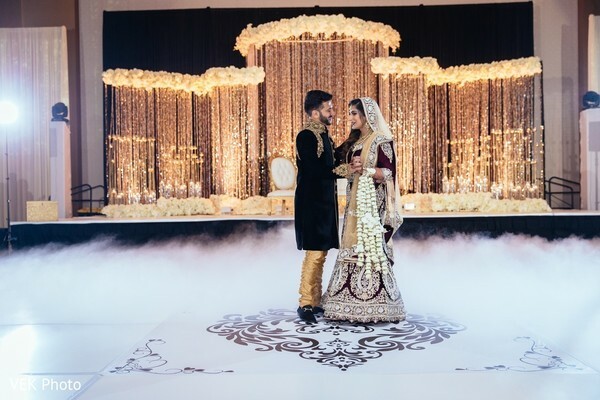 The new Mrs. carried a sweet cascading bouquet to be able to dance freely with her groom who opted for an elegant dark sherwani suit to hit the dance floor. 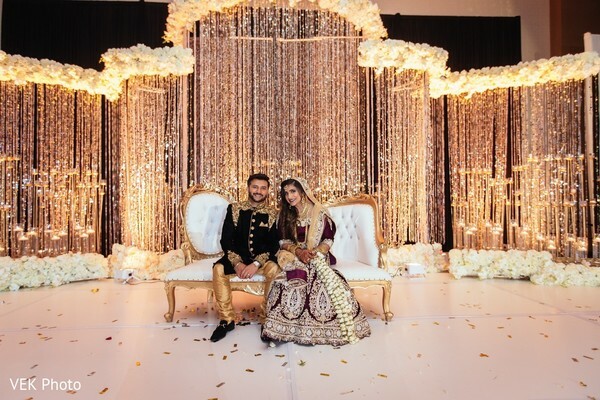 DJ Riz Entertainment’s high spirited music entertained the crowd who also had a blast capturing their own memories with Red Photo Booth! 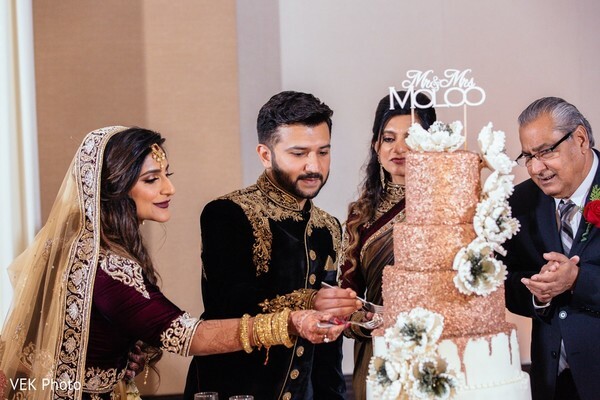 Last but not least, Kiran and Malik sliced down a tasty six-tier wedding cake creation of Delicious Cakes to make this iconic moment the best of the night! 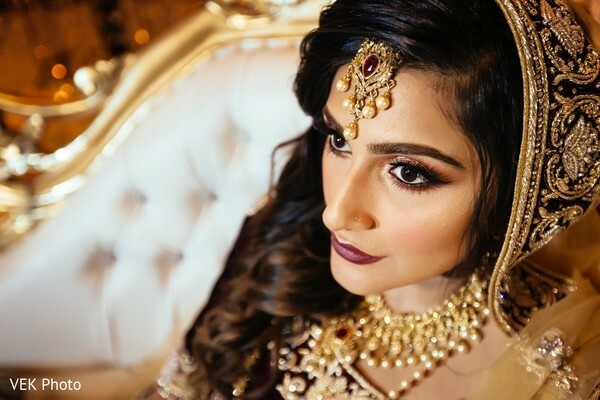 Check out how Vek Photo captured this and more special moments of the grand gala in our full gallery! 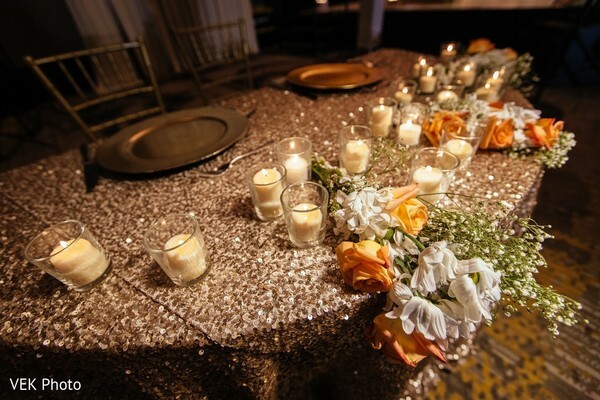 Here’s to the newlyweds! I hope to see you tomorrow!